I’m moving (mostly) to a new blog, to a new chapter in this post-school journey. Finally I think I’ve discovered how to weave together the various strands of my interests and abilities as I grapple with the relationship between the local and global: through a new LLC, Open View Gardens, I’ll be combining writing, photography, storytelling,–and my two other creative passions: cooking adventures and gardening. 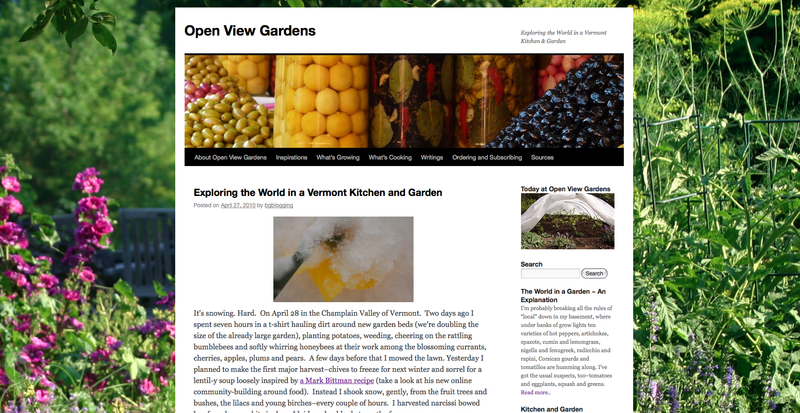 Please visit me at Open View Gardens–I’d love your feedback, your conversation, your wisdom!